Some children's drugs that have been used in Hong Kong, Macao and Taiwan for years will be put on a fast track for importation, China's top health authority said on Wednesday. The National Health and Family Planning Commission released a list of 32 drugs to be expedited. The medications are used to treat conditions ranging from cardiovascular disease to endocrine, blood and nervous system disorders. Most of the drugs have passed clinical tests and been used for years in the three areas, but they have not been available to doctors and patients on the Chinese mainland. Under current rules, approval to import such drugs requires clinical test data collected on the mainland. "Health authorities have always been concerned over ethical issues and fears of harming children, especially babies," said Zhang Yiran, marketing manager of the China office of pharmaceutical giant Pfizer. According to the commission, clinical studies in Hong Kong, Macao and Taiwan might be used to support approvals in the future, which means tests on people on the Chinese mainland may not be required. About 2,200 babies are born in the country every hour. However, drugs for infants and children remain limited. Figures from the China Food and Drug Administration show that more than 170,000 drugs were registered by 2015, but only about 3,000 of those were intended specifically for children. Fewer options may pose higher risks for children, as many Chinese parents say they prefer to give them adult drugs in smaller doses to treat some mild diseases, such as colds or diarrhea. "Dosages for children should be carefully measured. 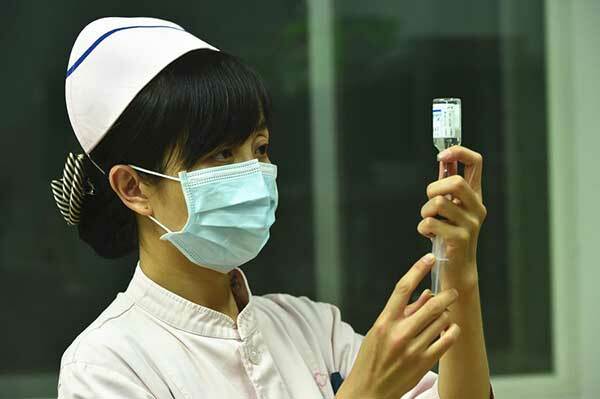 Otherwise, the drug can be rendered ineffective or even harmful," said Wang Fei, deputy director of the intensive-care unit at Capital Institute of Pediatrics. Moreover, she said, drugs for children should have different forms and flavors that help parents administer them more easily. Beyond the concerns about clinical testing on the Chinese mainland, children's drugs usually come with lower profit margins because of their relatively low dosages, Wang said. "This new policy helps guide drug companies on new children's drug research," she said.